There is an ongoing debate as to whether the food we eat can cause acne. The scientific research in this area is rather inconclusive, as there simply are way too many factors that go into acne formation. Remove this from your food, add this, try eating less of that, it’s all very tiring and confusing to do it all. Well, there are people who swear by it – many have reported that cutting out dairy of gluten, for example, has done wonders for their skin. But should we demonize certain ingredients, or even go as far as removing entire food groups from our diet? Cutting out foods from your diet is not necessarily a bad thing – but you need to find an alternative to them. Substituting foods is essential in order to ensure that we get all the nutrients our body needs to function properly. Most people start by cutting out dairy products. And of course, the first product is milk. Substituting milk is an easier task nowadays since soy and almond milk, which are good alternatives, are available in many big markets and almost all organic food stores. But many people have reported that switching to soy milk hasn’t helped them, and in some cases, it has made their acne worse. This seems plausible because soy is rich in isoflavones (a type of phytoestrogens – compounds from plants with an estrogen-like activity). These can cause a hormonal imbalance, which can, in turn, lead to acne. But what about almond milk? Is almond milk safe for those with acne? Almond milk is made by mixing almonds and water, blending them, and then filtering out the leftover solid parts to separate the liquid. What you are left with, is a liquid that resembles cow milk to a huge extent, only, of course, it’s non-diary. Almond milk gets a lot of praise mainly for its nutritional values. It’s rich in vitamins D and E has a low-calorie count (unbelievably lower than cow’s milk) and is a good source of nutrients like riboflavin, thiamin, and magnesium. It comes in a variety of brands and flavors, most of them enriched with additional vitamins and minerals, which is a popular choice for people who lead a healthy lifestyle. But unlike raw almonds, almond milk lacks many of the beneficial nutrients – like antioxidants and fibers. This is because almond milk is made of skinless almonds, and it’s filtered while its made, which strips it of most nutrients. The total amount of nutrients depends on the amount of water and raw almonds used to make almond milk. As we said, there’s no conclusive evidence that almond milk can remove or cause acne, quite the opposite – it’s known to help with acne. By removing dairy from their diet and switching to almond milk, people have reported that they managed to put their acne under control. It may be thanks to the flavonoids almond milk contains, as they prevent the skin from oxidizing and leaving layers upon layers of dead skin. Additionally, its Vitamin E, content protects your skin from external toxins and damage. Some research has shown that almond milk can also help in reducing the risk of heart disease and strengthening your bones. Some of the fatty acids in it are highly beneficial to the heart, and 90% of the fats are unsaturated. 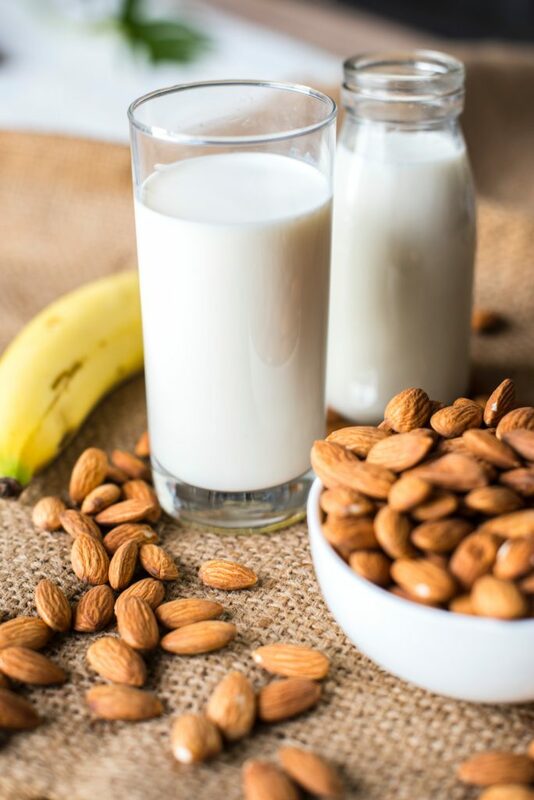 Almond milk enriched with vitamin D and calcium can help vegans and other people who don’t consume dairy to maintain a regular intake of calcium, vital for our bone integrity. Naturally, it’s a poor source, and if you cut off dairy, you will be cutting out your primary source of calcium, but something is better than nothing. As we said previously, there are different types of almond milk, and they come in different flavors. People who have used brands that contain artificial sweeteners, sugar or vegetable oil observed that it didn’t do any favors to their skin. Others may be too sensitive to it due to a nut allergy they are suffering from. If you belong to this category you shouldn’t use almond milk, but consult with a doctor, but the best idea is to skip it. What Type Of Almond Milk Should You Buy? Today we have so many brands and flavors to choose from for most products, and almond milk is no different. However, not all brands are created equal. Make sure to pick one that does not contain any sugar or vegetable oil, because you don’t want that in your body. Just because a product says ‘organic’ or ‘all natural’ doesn’t mean it’s free of additives. Many of them also have a very low percentage of almonds, meaning you will basically pay money for filtered water. So make sure you read the labels and see the content. So the answer to the question “does almond milk cause acne?” is both yes and no. There is no scientific evidence to support or reject any of the claims made so far. It all depends on the type of milk you choose and if you have any nut allergies. So if you are thinking of giving it a try, keep an eye on these. Schedule an appointment with your doctor, and let them know that you want to try it and you want to test for nut allergies. You might like it and think about keep drinking it regularly, so it’s better to be safe than sorry. And for all of you who already drink it and enjoy it, think about making one at home. Why? It’s very easy to make, and it’s the best way to know for sure that you are drinking the best one. All natural. Nothing beats homemade, unsweetened almond milk. 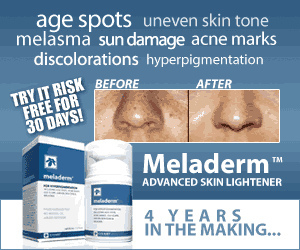 Also, there is no evidence to support the claims that it prevents acne. Until new research comes to light, stick to your cleanser and moisturizer, do the occasional mask, and try to maintain a generally healthy lifestyle. 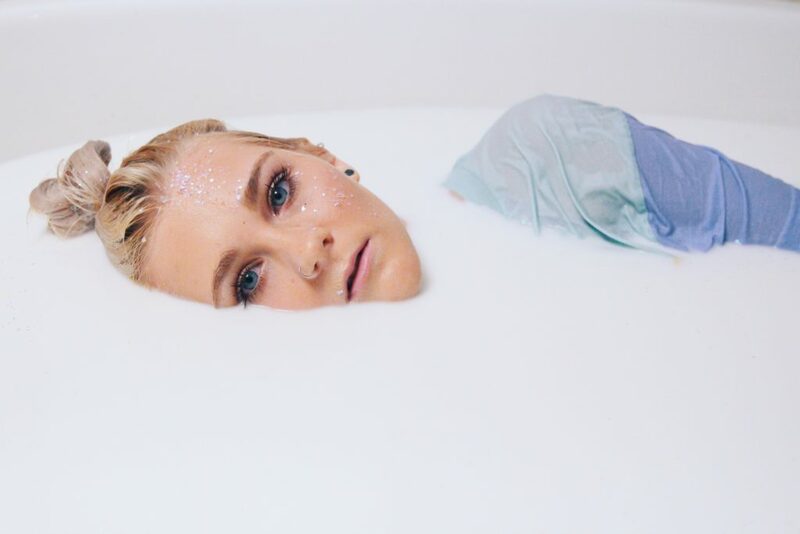 Don’t waste your time thinking almond milk will remove your acne.